We have less than three weeks until Summer vacation, so it is time to start thinking about teacher gifts for the end of the school year. 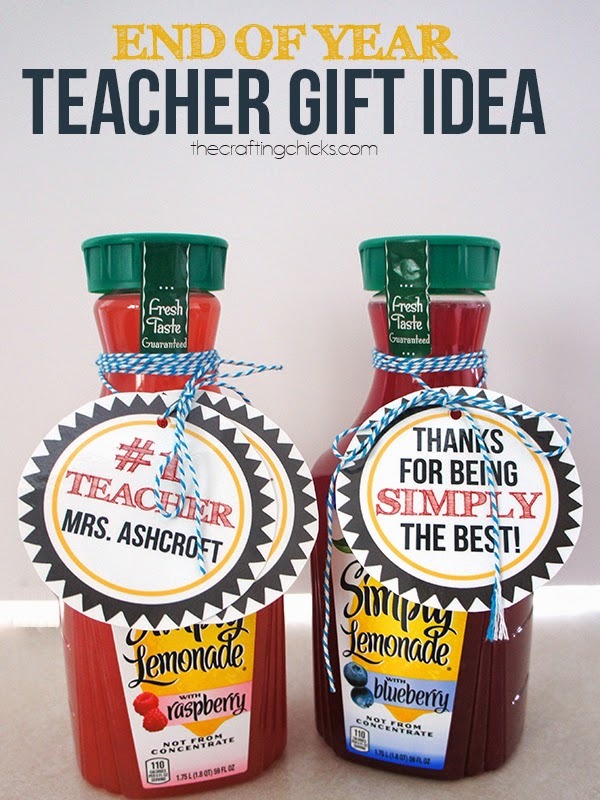 Both the elementary school and middle schools do teacher lunches as a thank you, and I think these simply the best printable tags tied to some Simply Lemonade would be perfect additions to that lunch. If you know your teachers favorite drink, they would be fun thank you gifts for individual teachers as well. You can get the printable Simply The Best Teacher tags over at The Crafting Chicks.